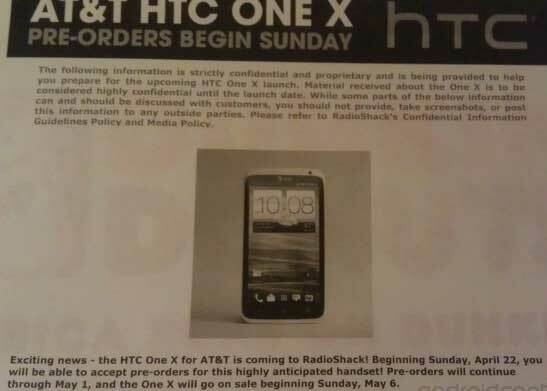 Earlier I reported that AT&T will start pre-ordering HTC One X from 22 April for $200. But before that date I have good news for you. RadioShack also offers the same handset to you, but there price is $50 lower than AT&T. The latest LTE HTC smartphone will set you back just $149 on a two-year contract. RadioShack is also ready to throw in free downloads of seven Coldplay songs, including an exclusive live recording of "Charlie Brown" to sweeten up the deal. As AT&T told us earlier, shipments are scheduled to arrive on May 6.